According to TMZ, Bruce Jenner is" irate over some of the recent leaks and blames it squarely on the big mouths of his girls." 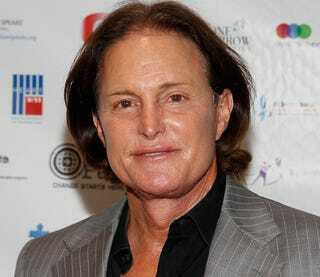 The website reports that Jenner has tested his theory by floating his daughters information, only to see it "almost instantly surfaced online." This is all, apparently, complicated by the fact that the entire family is in the middle of shooting Season 10 of Keeping Up with the Kardashians. So basically, a family that's built its entire fortune by starring on a reality show isn't very good at keeping secrets, regardless of their impact. Everything is as it ever was. Images via Getty and Twitter.